[w]e have a list of themes that related to delivering a great platform for today’s solutions. Mobile devices, cloud delivery models, advanced middleware – IBM i 7.2 delivers function that enables all of these. And, in conjunction with the rest of Power Systems, we announce support for the first POWER8-based systems. You’ll be able to find a lot of information about new Power Systems, and we will have more information about how IBM i takes advantage of the new architecture in the future, but that’s not the focus of our IBM i bloggers today. The announced planned availability date is May 2, 2014. What is new in this release for RPG? 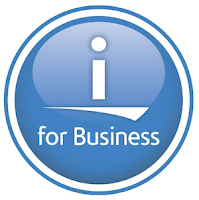 Tim Rowe: IBM i 7.2 – a new release! If I may ask, Scott. Are you using the XML-INTO op-code. Life is wonderful, once that came out.